When Alex Witcombe decided to make a raptor from driftwood, he never thought it would get so much attention. The Comox Valley resident enjoys strolling on beaches and looking at the driftwood, and that became his studio space. "I like the gnarly pieces," he says. "Ones with character." 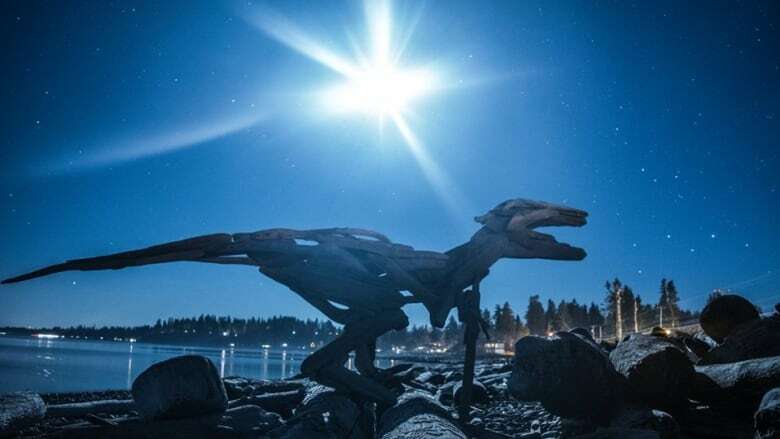 One summer day he was walking on Stories Beach in Campbell River when he was just inspired by the driftwood and got to work, building 'Sheila the dinosaur' in just a day. The artwork caught the attention of many locals who posted and shared pictures on social media. "It just kind of blew up on social media a bit and was like, 'Oh, okay cool, let's do some more,'" said Witcombe. His next piece was an eagle. If you get up close to the eagle you can see the finer details of Witcombe's work like the two separate pieces of driftwood he used just to make the beak. 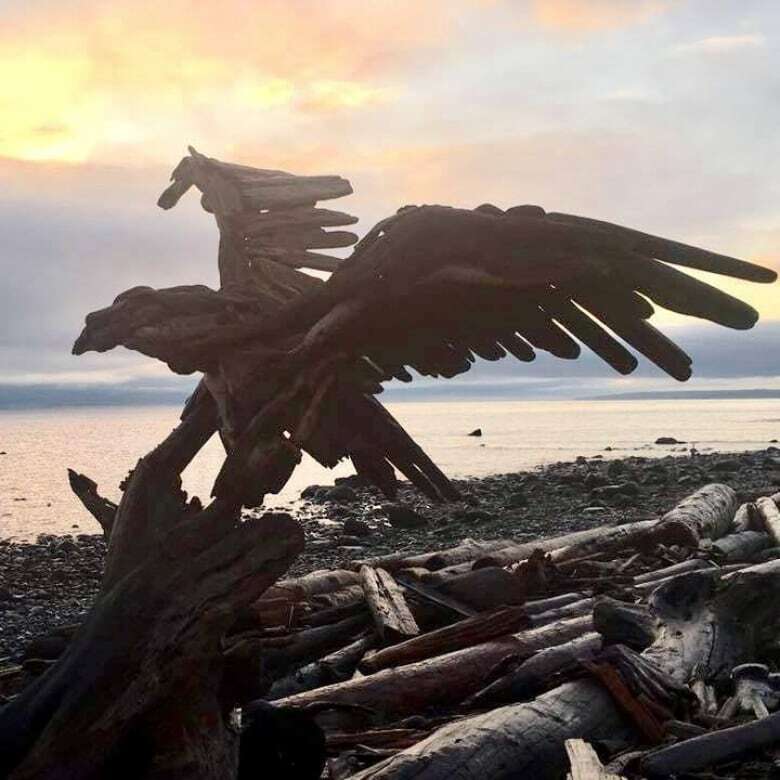 "What really caught my eye was the fact that the driftwood piece is the eagle's eye," said Jillian Kauffeldt, who stopped by to take a picture on Friday. Witcombe's latest creation is a humpback whale. "Seriously had to walk the whole beach to find that one base to put it on. And then just start there, add one piece, add another and keep going, interlock them, screw them together, make sure everything's tight" said Whitcombe. "Let the wood do the talking." Alex Witcombe lives in the Comox Valley and built the dinosaur sculpture on Stories Beach in Campbell River. A previous version of this article stated Witcombe lived in Campbell River and the sculpture was built in the Comox Valley.